I've always wanted pretty pin holder since I learned how to sew, make stitches and crochet. I have a nice sewing box and I put there my heart-shaped and tomato-shaped pin holders. I've made the heart-shaped by myself and bought the other one. Every time I see different designs I always love to buy it but prevent myself because I have enough. That was before when I don't know online shopping lol! 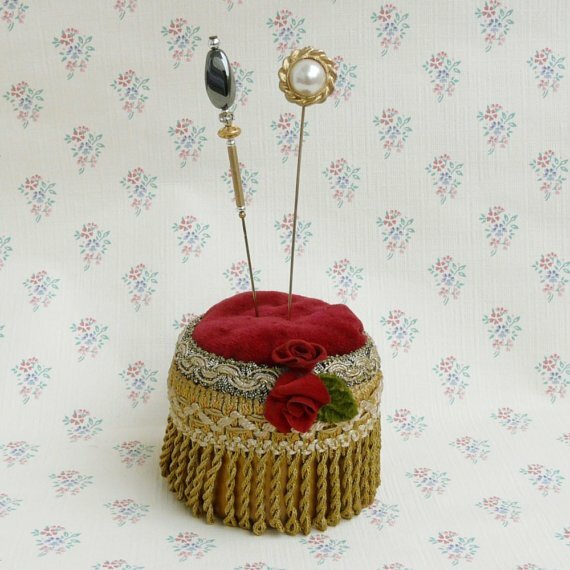 I've found this neat little nice velvet rose hat sewing pins holder created by helenaaleixoglamour sold at Etsy. 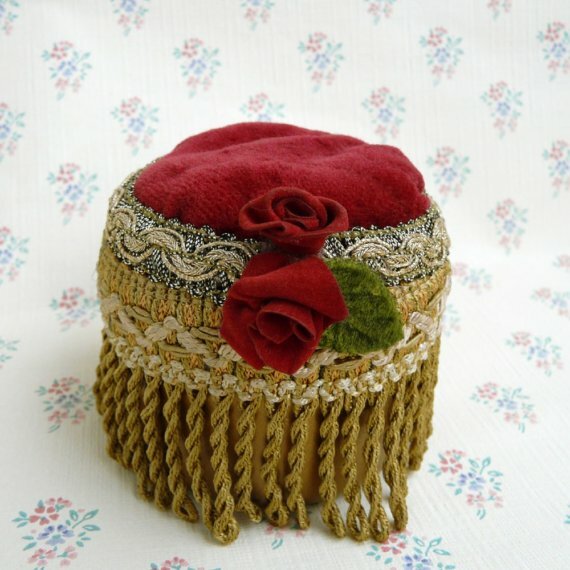 As from the maker's description it's an antique gold painted plastic cream jar with gold tone, metallic gold trims, pin cushion covered with cherry velvet and it's handmade as always with etsy. It has a vintage look and can be used also as jewelry pin/brooch display aside from its usage for sewing pins. That is so cute! I love it--thanks for sharing. I will have to go check it out.